Piscotty, who won the coveted Thurman Munson Award by hitting .349 in 29 games for Yarmouth-Dennis, was the No. 36 overall pick in the draft, going to the defending world champions as compensation for the loss of Type A free agent Albert Pujols. His signing bonus is exactly in line with MLB’s recommended slot value. Piscotty hit .329/.415/.467 for Stanford this season. He will start his pro career with the Cardinals’ minor league affiliate at Quad Cities in the Class A Midwest League, reportedly as the starting third baseman for the River Bandits. MLB.com’s pre-draft scouting report noted that Piscotty’s status was enhanced by his strong showing on the Cape. According to its analysis, “Piscotty has an easy swing with good bat speed, making consistent hard contact and hitting to all fields. He's shown raw power to all fields as well and with some added strength there could be more there. 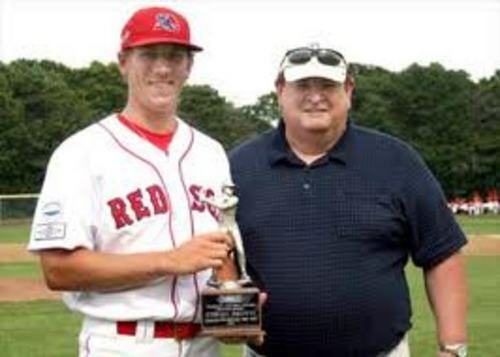 Piscotty and Chatham’s Dane Phillips (Oklahoma State) both finished the 2011 CCBL season with .349 batting averages, but the drawn-out math showed Piscotty had a microscopic .0002-point edge. "It surprised me, to be honest. I didn’t even know I was in contention,” said Piscotty, who didn’t know he was the batting champion until an hour after the final game when he was notified on Twitter while dining at a local fast-food restaurant. “Obviously, it’s a great honor." Piscotty went 4-for-5 on the final day of the season, including a home run and double with three RBIs. He also pitched two-thirds of an inning and played first base and left field. "You’re talking about a team guy," Y-D field manager Scott Pickler told reporters later. "His maturity level is beyond his sophomore year at Stanford."